Do you like Princesses and Pets Matching Outfits? Share it with your friends. 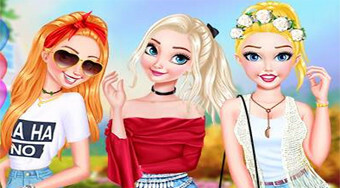 Select the four princess and their four-legged pets to become up-and-coming clothing and fashion accessories.